Pineapples are so trendy right now! 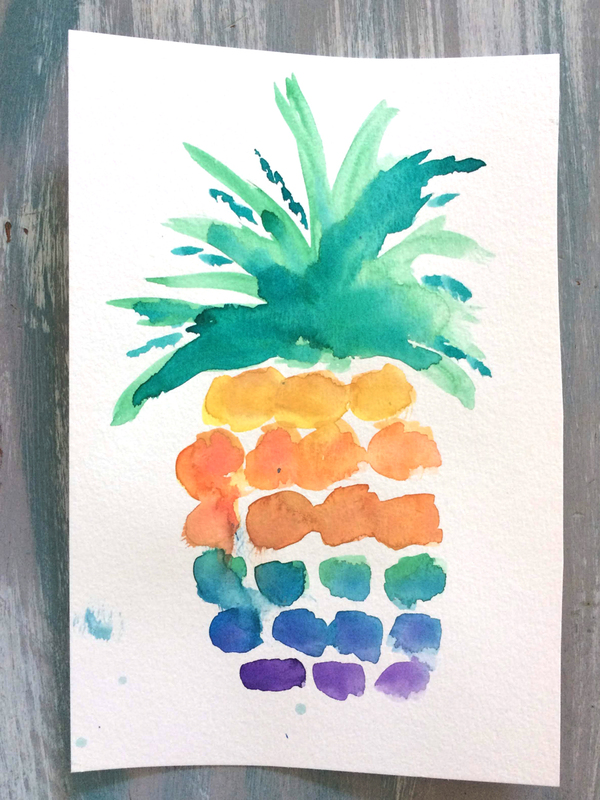 This week I’ve got a new watercolor tutorial up on Youtube with step by step instructions on how to paint a rainbow pineapple! 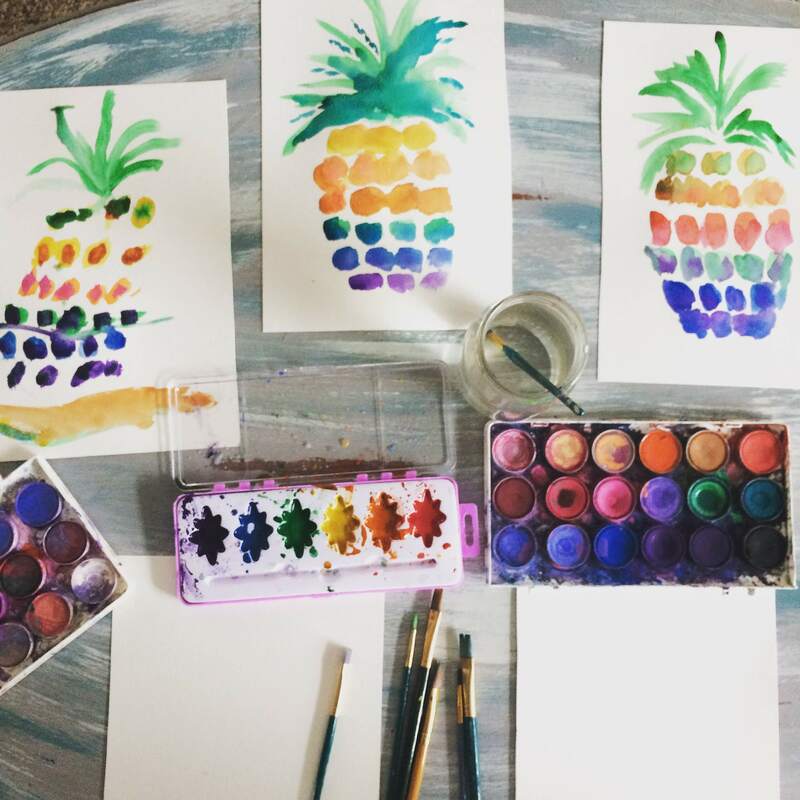 My little daughter and I had a lot of fun learning how to paint this funky spunky fruit! I thought it would also be fun to share a few random pineapple facts. If you are following my art lesson videos I am going to be adding some fun facts about the subject matter each week so parents/teachers can develop a whole lesson around each video. So let’s get started with interesting facts about pineapples! Pineapples regenerate themselves! What does this mean? It means to grow a new pineapple plant you simply need to plant its leaves. Pineapples take three years to grow. Wow thats a lot longer than you’d expect right? When settlers first saw pineapples they thought they resembled pinecones and hence the “pine” in the name. Pineapples can help with bone support, immune support and eye health. Pineapples are a cluster of hundreds of fruitlets. Hawaii Produces 1/3 of the world’s pineapples. So there you have it, some interesting facts about pineapples to share with your littles! Combine these facts with the art lesson video and we’ve got some content that is both fun and educational. 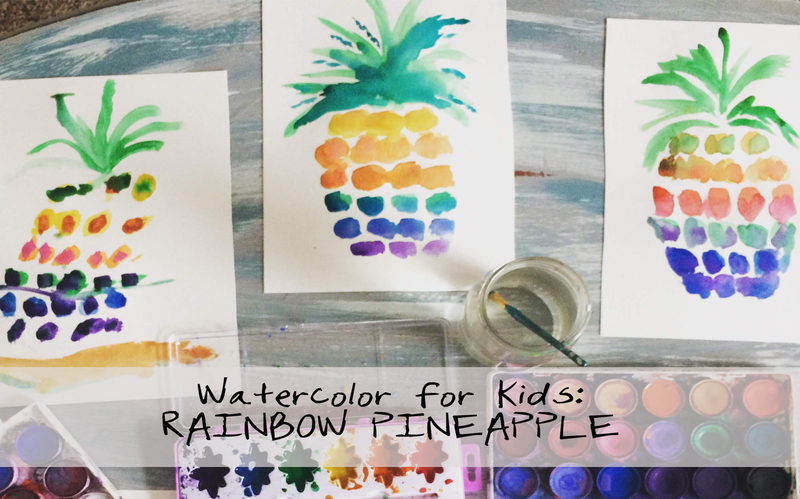 Below is a preview of the video Watercolor Rainbow Pineapple. View the full video! Come back this Summer for more Art Lessons, DIY projects, Videos and more!